"No More paper! Cleaned up our data!" "Darn good Help Desk Too." What I like about Spiceworks, is that for the budding IT company, it's a low cost solution. The fact that it's cloud based, with a large user forum, that literally spans the planet, is very nice. I can get help and feedback on issues I run into from different perspectives. I love the way you can configure email addresses to create ticket automatically. Sometimes, of late, they have had some serious issues with their data centers. Just a couple of months ago, we were without a helpdesk for an entire day. Benefits are we have organization, as well as a historical record. Many times we run into problems that are reoccurring. Having a ticket history we can quickly go back to those solutions and implement them fast. Also, it saves us from having a massive email account with unreadable information. "Easy to use Help Desk system"
The Spiceworks Help Desk is very user friendly and can be customized to meet a variety of specific requirements. The Spiceworks support team is very helpful in the event that issues arise. The Spiceworks Community is also very useful for sharing knowledge with other IT professionals. The Help Desk is available for either an in-house or cloud-based installation. Both work equally well. The Spiceworks Help Desk has a feature that can scan your network and create an inventory of all devices. Although this is a nice feature, the inventory is usually not very accurate and at times is inconsistent. This usually requires an admin to clean up the inventory list, which can be cumbersome when a large number of devices are added. Setup integration with Active Directory and customize the Help Desk user portal. Give the users an option to submit tickets by sending an email to a particular address. This will save the users time by not requiring them to access the portal each time. You can also install the Spiceworks mobile app and manage tickets from your mobile device. We were able to create an IT change management system for our systems. Whenever a change is required, an admin would create a change ticket, and then assign the ticket to the IT Manager for his review and approval. We are able to create reports of all changes made to IT systems. We are also able to keep track of all IT issues and requests from the users. "You get a little more than what you paid for." Ease of setup and migration to Spiceworks. Cost, of course. Add-ons help extend some functionality. Highly suggest the following Add-Ons; Helpdesk Powerpack, Helpdesk Queue, Helpdesk Responses, and Subcategories for 7.3+. Uses SQLite, so custom reports are able to be designed with references to multiple tables. Built-in portal is difficult to customize without a developer to assist. SLAs and Priorities are very simple without an add-on or a developer. Dashboard isn't as customizable as it would lead you to believe. Only three out-of-the-box statuses; Open, Waiting, Closed. The answer to extend that is to ignore the built-in status field and create a custom attribute which breaks inherent functionality. Great, simple Ticket Tracking for small business with limited infrastructure. Larger businesses with larger infrastructure but smaller IT teams will find it limiting and should consider spending some money on more feature rich products. A fresh interface with some expanded capability over our previous software (OpenSource BugTracker). We were hoping to stand up a customer-facing portal but we were not able to customize it to our liking so that was shelved. "I have used Spiceworks on and off for many years and it has never let me down." The price is the first thing that most people would agree is excellent. For the VERY low price of FREE, you get a full service help desk software system, and network monitor rolled into one. Since Spiceworks is free, that probably means that it isn't very good, right? Dead wrong, this software is as good or better than many paid softwares that I have used including Vivantio and ServiceNow. The reports that it is capable of producing are second to none. If you are looking to implement a low cost Help Desk solution that also works, then look no further, Spiceworks is the software that you need. The only drawback at all that I can name about Spiceworks is the length of time that it takes to complete a scan. I have see a scan with 4-500 devices on a network take >3 days. This is of course including multiple vlans, but still that is a very long time to wait on a scan to finish. If you want a Help Desk software that works, is easy to maintain, and costs zero, Spiceworks is for you. Spiceworks gives you a free, easy to use help desk solution that includes a ticketing system, inventory system, and a network monitor. Every tool included works well, it perfectly integrates with ManageEngine, and the support it Tier 1. I highly recommend this software. It's free. we like the ability to create tickets within Spiceworks, email, user portal (even though we currently do not use the portal). The community where you can go and ask questions. then there's the addins to customize HD to your needs. It's free. email is the only support, but they are good at responding within a day, but sometimes that is not good enough. Recently we had to delete old tickets to speed up performance because it was crashing and we couldn't have that two days before classes started back up. Multiple departments cannot use it with a separate database. they will share everything. If you are just getting started with a ticketing system or don't currently have the budget to buy one, then look at Spiceworks. Before spiceworks, we were using a ticketing system that integrated with Outlook, and as needs grew, that needed to be replaced with a full blown HD ticketing system. We are now able to track not only open tickets, but closed, and can combine tickets if multiple people are working on a similar issue. "Works and great for the price and even Brain Dead users need no training. Using for at least 8 years"
Very simple to use and setup. Best quality is that even brain dead end-users can adapt and onboard without issues. Lack of a class or ability to hire an expert to help us configure it to utilize all the many many features we do not use. Easy to settle into complacency as it does it's main job without much effort or maintenance. Can not hurt to try and certainly worthy. The price cannot be beat. Full disclosure we do pay the small amount so there is no ad-ware. I think it's like $150 annually. Help desk logging and dispatch tool. Works for many other things, but we barely take advantage of those things. We should take more time as it could replace several tools we pay for as well as tools that do not do as good a job or processes we do manually. When it is down (almost NEVER) we are in a world of hurt. "Spiceworks makes submitting tickets easy"
You get your own helpdesk portal so it makes it easy for clients or coworkers to submit a ticket. You get a very professional email address, Along with getting to participate in a large community of professionals. Not to mention the spiceworks tools that are available. The network scanning tool is very very slow. I think the overall GUI could use a slight uplift. It really is very easy to setup and use. And has been very stable. The interface is clean but could use a slight update. The response time is great. ALmost zero lag between time of ticket submitted and it being received. You can even automatically link a ticket to a user if you wanted. . It gives a professional platform for clients to contact me. Being able to distribute the spiceworks email and direct them to the custom portal. Helps to keep everything organized. "Used to be freemium and then went all vendor sponsored. Just an FYI if you want to deploy internal"
Great tool for capturing systems, applications, and identifying issues in advance. The helpdesk is the natural extension of this since it allows an admin to see details about a users PC without asking them "what do you install recently" since SpiceWorks will have captured it. No room to claim nothing but have done something. The amount of vendor content can be too much. It is why it is free so it is always a fine line between too much and how much value you receive. Help Desk is one of many different offerings so make sure you get what you need and be aware whitelabel option is not possible (as far as I can tell) anymore or really the focus. Proactive alerts about issues and problems, easy documentation of changes that occur, and access to details that you would not have about a system and what has changed. The ease of use and the broad range of functionality in the mobile app compared to the web app really make creating and updating tickets on-the-go a breeze. Most of our support for clients is remote but occasionally a tech must be dispatched onsite and being able to update or close a ticket in real time makes our job much easier. Occasionally, the mobile app behaves in unexpected ways or won't let me launch it at all. That problem hasn't occurred in the last several iterations of the software but about a year ago, whatever version I was using (on a Samsung Galaxy S5) made accessing the help desk a nightmare. Thankfully that's been resolved! Absolutely give it a try unless you're already using a different solution. Changing horses midstream is difficult enough for other solutions, you don't need users struggling to adapt to a new ticket filing system as well. That invites the inevitable creation of in-house tickets about creating tickets and no one wants to wade through that bog. A help desk solution is as useful as the problems you try to solve with it. We create tickets for pretty much everything relating to service for a client and have it set up so that tickets are auto-generated for us whenever we receive messages in our support inbox. "All you want in a help desk... for free!" A powerful help desk system with tons of features and customization, whether it's built-in or community provided. You can build as you like to fit your needs. It is easy to use and integrates well with Active Directory for user accounts and single-sign-on. The user portal is great as well and can be linked to a public facing web page. Go for it. The community is huge and there's a ton of customization options that you can apply to fit your needs. One issue we were facing is the ability to track consumables like toner and relate them to ticket. Not many (or any) other help desk systems offer this. While Spiceworks does not have this function built-in, the huge community already came up with ways to get around this and get it working. "Free Helpdesk software that works great!" The Spiceworks Helpdesk makes keeping up with my staff and Agent technology needs incredibly simple and handles so much of the communication for me. A request is sent to an email address I created on our domain and a ticket is created and the end user as well as several staff members are notified. Also, It is free! There is really nothing that I do not like about this product. Support is good for a free product. As the sole IT support person for a company of 40 employees and 140+ Real Estate agents, Spiceworks Helpdesk allows me to stay on top of work orders that need to be completed better than a simple calendar app. "Spiceworks Help Desk helps me easily track all my support efforts for my users." What I like best about Spiceworks Help Desk is that it simply works. It is easy to set up and use. The Help Desk comes with automated reminders and canned responses. The Spiceworks community is an awesome resource for product reviews and knowledge. Also it is free, and that always hits the budget in just the right way. I honestly haven't found anything that I do not like about Spiceworks Help Desk yet. It has one job and it does it well. The business problems that we solved with Spiceworks Help Desk are creating a centralized and easy to use portal for new trouble tickets and being able to track trends of user behavior and repeat issues of hardware and software that prompt further investigation. "Industry leading product for free"
Spice works has been the best free product I have came across since the beginning of my entire career. What Spice works has done with our problem and requesting handling is unreal. There has yet to be anything I dislike about this product. Being that it's completely free for the self hosted version you will be hard pressed to find a real deal breaking issues. Because of the intense amount of customization that SW offers our business has been able to cut down problems reporting and solution time roughly 50 percent and we have done it all without spending a time on our tickets solution. "Simple helpdesk tool with no cost"
It serves the purpose needed without extra bulk. I don't need to have anything onsite, and have access to it on my mobile device(s). Users can easily submit a ticket via email, and it makes some of those "oh by the way" items much easier. Also easy to script to - you can have a device generate an email that goes to the helpdesk if there is a concern. It's really difficult to say there is something to "dislike". It's a free helpdesk tool that's cloud based. It is ONLY a ticketing system, but that's what it's designed for. The only drawbacks would be possibly integration with other tools etc - but for a free helpdesk tool, you aren't going to do better without paying something. Definitely start here if you're looking for helpdesk software. I think that from here, if there are business objectives that you need to accomplish that it's not able to do, you can move forward. But its likely for a simple helpdesk solution that this'll take care of your needs. Sometimes there are projects that pop up, or other departments want something. They can send an email, but it's a LOT easier for us to keep track of it in the helpdesk tool, so we have a list of what needs done, but also can update them as work is done. Helpdesk mobile app works great and allows us to keep from being chained to our desks. Sometimes the users don't get a submitted ticket properly into the system. It's rare, but has happened and we haven't been able to figure this out. But, considering we have nearly 7,000 tickets in the system and just a handful of times users have had issues, it's not something huge. The helpdesk software is fairly basic, however it meets all of our needs and has been in place for almost 10 years now. We couldn't manage the numerous requests each day without it. The Community within SW is excellent. We reach out to them numerous times each month with hard to solve issues. It makes the helpdesk even better as we have literally millions of I.T. staff out there who watch the forums and post solutions. Quick reaction time to any I.T. issue that arises. We use this as our helpdesk ticketing system and repository for thousands of helpdesk tickets over the years that build us a system for solving tasks. "Great multi use tool with excellent customization options"
The plug-ins make it easy to manage and filter tickets automatically, as long as your users cooperate and apply the correct tags to their email. Creating a shared help desk between sites turned out to be a bit of a pain as you can't link 2 servers together, so we ended up having to make the main server available over the internet and also setting up a local server strictly for device inventory needs. The lowest default completion time of 15 minutes is too high for many issues but I'm unable to enter anything lower. Will have to see if this can be changed. Tracking of user issues has been much improved since our helpdesk system went live. We can now ensure no issues fall to the side and can also track the time these issues take to complete. "Spiceworks Help Desk is extremely useful and at a great price, FREE!" Spiceworks Help Desk is very easy to setup and easy to use. It's great for small to mid-sized businesses and would probably work just fine for larger businesses also. I love how it ties into my Spiceworks Inventory and that tickets can be generated by a user sending an email to the "helpdesk" email address I've created for it. There's not much of anything I dislike, except dealing with the tickets themselves. The Helpdesk is easy to use and powerful, so I don't have any complaints about it. Ignore the price and give it a test run. I think you will be happy with what you see. We needed a platform to track support calls coming into the IT Support team and Spiceworks Helpdesk solved that problem and for free. I like the ease of use and basic functionality. It is dependable and provides a fast and easy platform for our IT staff to manage office IT support requests. I wish it had better sorting of submitted tickets, improved search capabilities, and the easier reporting functionality. . I think it is a great tool. It really provides our staff and easy and effective tool to submit support tickets for our IT staff. It also allows our IT staff to stay on top of user issues, and identify any treads in issues. We use Spiceworks for our support ticket submission for our three offices. As for benefits, it has improved our IT response rate and time for support ticket needs. It also helps us better support our international offices who do not have IT staff on site. "Great for internal helpdesk or smaller break/fix shops." The price! Spiceworks is free, and has a great feature set for a free application! The core aspect of Spiceworks or us is the helpdesk software, the classic or new ticket views both do great work, we've stuck with the classic views because it's what our customizations work best with and what our team is most familiar with still. There's some serious limitations when it comes to growth. Approaching 20,000 tickets and the software is showing it's downsides now, it's a bit slow to search for users/tickets. We're definitely at the stage where we are outgrowing Spiceworks now, and will be moving platforms sometime soon, but Spiceworks has been instrumental in allowing us to grow from where we WERE to where we ARE. The fact that the service is reliable, and free, has been great along the way, but now there's not much we can do to optimize and continue to move forward, but it's served us well for 6+ years now. Definately give it a solid look and install, it's free, so you have nothing to lose! Install on a test environment or a VM and run wild with some testing, setup portals, test features, network maps, etc. If it looks like it's going to be beneficial go ahead and roll it out and then add your real data to it. We solved the fact that time entries were logged separately from issue resolutions, and Spiceworks lets us unify that in one place. The tool is very easy to setup and use and comes at no cost to the company. It has all the basic things you need in a helpdesk tracking software. There are no a lot of features as you would expect with a free tool. We aren't able to build automatic tasks and incidents based on condition sets like you can in other software. 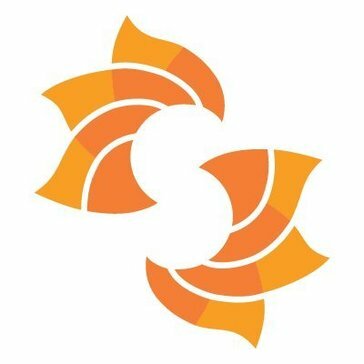 If you need a good way to track tickets and don't have the budget for a full helpdesk suite, Spiceworks is an excellent tool. Ir doesn't have all of the bells and whistles of the bigger solutions but it will allow you manage your helpdesk tickets with little hassle. It does have a device discovery tool and has some decent reporting options as well. We use it as an internal helpdesk system. It has been a good way to track tickets and gives us the basic information as to many tickets tickets we are closing per week. "Simple to Use, but Not A Lot of Frills"
Ease of Use is the ultimate selling point. We have a some employees with limited IT knowledge, so this helps cater to them as well as those who are accustomed to dealing with more complex software. It's also user friendly on the administrative end. The email process for updates could be better. It tends to send out too many emails as updates are made, however, this does help maintain good communication with staff as updates are made. I would prefer if it the administrator could choose to bypass email updates for minor issues that only need notification once the issue is resolved. I recommend this system for companies who have a team of employees that does not exceed 250 people. We have two large campuses, so this software allows us to have an efficient way to communicate our IT issues in such a way to solve problems and keep a track of their progress as issues are being handled. "Good for a free tool, searching is a pain. " I like that Spiceworks is free and that you are able to customize the fields. The setup is pretty painless, setup a server and install, upgrades are the same way. You can use keyboard shortcuts to create tickets, which can make the task of entering tickets pretty fast. They also provide views that allow you to switch between open tickets and my closed tickets, I use that feature a lot. Searching for a past ticket is near impossible. We haven't found a way to search that doesn't bring up either no results or way too many. We've also experienced where Spiceworks stops working, but we don't realize it and it ends up being a major issue. This is a great tool if you need a simple help desk and don't want to spend the money. There are ads, but you get used to them. Upgrading the software is easy. Spiceworks allows us to track tickets for our users. Yearly we run reports to see how many tickets our help desk technicians receive, this allows us to justify the number of IT members. "Spiceworks is compatible for our students and staff to navigate through." Being able to choose from several different labels for creating tickets to make it specific and easy for staff/students to read. Searching for tickets by ticket # makes it easy. Being able to search in search bar for the ticket number makes it easy to find the tickets, especially if they're from a date from a while back. Getting emails regarding new, updated, and closed tickets. Other than that, it is a good system. Ask detailed questions before purchasing. Related computer or printer problems to help students and staff provide best care for patients and creating usernames and accounts for new staff. We assign our notes to the appropriate staff member to handle the issue. That staff member will then comment on the ticket to communicate to other staff members if he resolved the issue or needed to recruit another staff member to complete the job. "Great free app for service and asset management"
I've configured Spiceworks for multiple companies. It has everything one needs for service and asset management. On the service management side, customized ticketing templates, business rules, ticket escalation, integrated LogMeIn Rescue component for RDS. On the asset tracking side, a network scanner continually scans for devices to let you know when something's on or off. Spiceworks keeps track of all Meta data for each device and alerts you when something is reaching the end of service or shelf life. Custom alerts let you get alerts for just about anything you want. While Spiceworks is a completely viable Help Desk solution, it's not an out-of-the-box app. There are some limitations to ticket customization, and the knowledgebase is part of the entire Spiceworks online user community. Spiceworks allows you to easily track service requests and assets for your organization. It's cost-effective and provides a good baseline for managing IT assets. "I'm sure it works great if configured correctly and maintained"
Users within the company are easily able to open trouble tickets for IT issues. I am able to assign the tickets to and IT staff member to handle the ticket. There is an ongoing issue (mainly with Chrome, but have experienced it in IE) where tickets are not going through when users are submitting them. This has been going on for several months. Users are often having to submit the same ticket multiple times before it finally goes through. Also, issues with it not saving when adding notes or when someone tries to accept or close a ticket. If you're going to implement this, make sure you've got someone who will stay on top of maintaining and configuring the tool. The person we have handling ours does a terrible job. It's not really something you can just "set and forget". The server we have it set up on needs to be periodically rebooted (Spiceworks starts acting a bit wonky when it needs to be rebooted), certain fields that should be set as required aren't set as such. These are all things that fall on our person maintaining Spiceworks, not Spiceworks itself. We use this for our IT department. Users are able to open tickets when they are having trouble with systems we support. It helps us to keep track of things we're working on, as well as track where there are issues. "Need a helpdesk? Want it to be free and backed by a bunch of people?" Did I mention free? Yes, sometimes you get what you don't pay for but not in this case. Spiceworks Help Desk is free and an incredible product. Also with the install of this tool, jump on their network analyzer it complements the desk tool very nicely. When it comes to the user side of submitting tickets I do wish the UI was more watered down. But, even with that, it is still good. Just takes some instruction. If you are not using to port forwarding or any network setup getting it internet and not just intranet can be difficult. With Freshdesk dropping free use and most other desk tools doing seat limitations. Jumping in on a robust, large community user base that is free. Yes, its not perfect but no desk tool is and they cost. Give Spiceworks Help Desk a try and you will stick around. Needing a Help Desk program that integrates with other network monitoring and inventorying program right off the bat solves many small to middle ground IT needs. As we all know these size IT dept are understaffed or thrown together and they need a combo of these tools at this price...FREE! "Brilliant alternative for smaller IT teams"
Spiceworks is quite similar to a lot of web based help desk suites, but what I like best about it is the community. Spiceworks also has a massive online community of techies all willing to give advice and support, share news and info, or just talk to each other which really keeps the whole thing alive. If your a small support team that’s a big help as maybe someone online will have the answer if your team doesn’t. It does appear cluttered at times and it would be better if you could open multiple tickets in tabs on the site instead of having to right click and open a new tab in the browser. Couldn’t comment on the use of Spiceworks for big companies, but for smaller companies with smaller IT departments it is a great, free alternative to other solutions. I am new to the business and they only recently started using spiceworks to keep a log of help desk calls, before that it was apparently very chaotic. "Fantastic Help Desk Soultion - Hard to belive its free"
We have been using Spiceworks for the last 5 years as our Help Desk Ticket software. It has never let us down. We recently switched over to their cloud version (Also Free) and still have 0 issues with the software. This software delivers all the functionality we need out of a Help Desk Solution. Still running strong after over 3000 tickets! The report features of the could version could be enhanced. As of right now, there isn't a whole lot of options there, but that is only a small gripe. Highly recommend looking into their cloud services. This software has allowed us to stay better organized when we have all type of work requests coming in. We able to more efficiently use our time in each school building. Soon as we walk in a building we can look up all the orders for that location which has reduced the need for return trips in the same day. We also have massive documentation to prove what work has been done in the district, should we ever need to provide that. "The Best of The Best, Spiceworks Has Been PRICELESS For Our Company!" Spiceworks is easy to use and setup, our T1 and T2 helpdesk support team had a very short learning curve when we moved from Freshdesk to Spiceworks Help Desk. The level of customization that Spiceworks has is insane. What makes this more crazy is that it is a free product. Nothing, we like every single thing this far and have been using it almost a year. We use the self hosted version. We have realized much better ticket tracking and problem solving since going over to Spiceworks. I like that it allows you to keep track of all of your company users request for Help Tickets. I can set a priority and expected time for a task to be completed. It's a better way to have work organized. The dashboard allows you to see your tickets and dates of completion. Nothing much. It provides me and my Help Desk with the basic essentials to get the work done on time. Problems with users computer programs and printer issues. If I can response, someone else can take the ticket and provide that user with the help to solve their problem. By having this service, we can focus on other projects that may need more attention, depending on its level of priority. Free and quick and easy to setup with most options needed for small business. The ability to link separate installations in a federated manner so you can have several running at once that all go to a single instance for complete management of a diverse platform. There is a community around the platform and in general it is a place for great information, problem solving and collaboration. They are constantly adding new features. They have an extensive api and plugin infrastructure in place for extending the platform to other third party products. They have the best search of any helpdesk application I have used. Network scanning that is integrated into the product can be spotty. Sporadic update schedule can make it hard to keep all instances updated. One month there will be no updates and the next month there could be 5. It is ad supported in the free version which can be annoying but it is FREE they do have a yearly paid option for no ads. Ultimately we opted to keep the ads. They have a lot of other products but not all of them are fully integrated yet. They really cater to more small to medium sized business and interests and so are missing some enterprise features. As with any helpdesk implementation planning before go live is critical. Know your requirements and how you want it to behave. Making major changes after implementation can be difficult. Get involved in the community they are always willing to help and answer questions. Most metro areas have a local user group that meets regularly and is good for networking and info sharing. Federating our helpdesk so that each country and project office has its own installation but they all report back to our central server so we can have oversight in our corporate headquarters for all issues globally. "Great solution! Meets our needs!" Spiceworks has been a great addition to our school district. The price tag is hard to beat! (Free!) We primarily use the Help Desk/ticket portion of Spiceworks. No major dislikes to report. We have not fully utilized the network monitoring, which seems like it could be useful as well. Take advantage of the free add-ons (apps) for the product. There are some great ones that really make Spiceworks easier to use and help increase efficiency. We have been able to easily track the status of employee and student needs in our district. We can also pull reports with a wide variety of ticket information to present statistics to district administrators, etc. We love that anyone is able to send in a ticket and we can keep track of tickets sent, by client, by person, how long it takes, and keep track if any common problems arise. The layout when logging into the system, to reading the actual tickets that come in. If the sender has the email signatures with pictures it clogs up the screen. We use the problems one user may have to teach the rest of the team how to resolve this issue on their own once the spiceworks team has resolved the issue. "Spiceworks helps me manage my day to day"
"Good Small to Mid Sized Company Network/Helpdesk Software"
It does so much, Hardware and Software Inventory, Emails your of changes or problems on your network even lets you know if a printer is low on Toner. Have used it through 2 Microsoft audits. The helpdesk function is VERY helpful for smaller companies to keep track on users computer needs. The Software inventory is a bit overwhelming but once you figure out how to get reports of your software your good. I does a lot and its FREE. Great for Hardware monitoring and to see what each workstation has in it and who last logged into it. Even gives you recommended upgrades to it based on its model or motherboard type. Shows what all software is installed and you can set up to to notify you if anything gets installed you don't like or is questionably. Can be setup to give daily, weekly, Monthly reports like if a server has reported an issues or how many computer reported a virus. So much it can do!! Hardware inventory and monitoring. Software inventory and see any changes. Once setup it will Email you of any issues or changes, kind of like a digital office assistant. "Ease of use and free"
The spiceworks Help Desk does all the job. its a ease to use, its free and has a big community for help to solve your IT problems in a flash. Free support for the app.Has the ability to create an article for a knowledgebase.Being able to set priorities to tasks and assign due dates are nice features. Use the app to see how simple it is. Dont buy any app before you try this one. All tickets submitted from the users of my company are deal with spiceworks. Its ease of use and easy to prioritize the tickets to solve the problems. "Spiceworks Helpdesk is great for small businesses"
Super easy and fast setup and easy for users to submit help tickets. Customizing the help ticket form can be a little difficult for non-web programmers. A great simple product you can use for internal trouble ticket management or you can post the help desk ticket submission page to your public website and help outside customers with it as well. It is customizable but you need to know a little bit of coding to make changes to the default ticket. support for the product by the company is pretty thin but they do offer a support forum where other users can help you and its pretty active. Trouble ticket management is solved by spiceworks helpdesk and also going back and finding your solution to previous instance of a repeat problem is much easier now. "Great tool at a low cost"
I like that it's got so many features packed into a free tool. I like how you can create one ticket and then subtickets underneath it to track smaller tasks within a larger issue/project. Couple things about notifications and email could be fixed. Sometimes transferring a ticket to another user will remove the previous assignee from being notified of any future changes which can be tough. The price cannot be beaten! It does exactly what it's intended for at the low low cost of free. I use it every day to track and manage incoming tickets. I also use previous tickets as a knowledge repository. It is currently the ticketing system we have deployed and have not had any issues. Users can email into an address and it will auto open the ticket, and the help desk can respond and take tickets just by replying to the email. When setting up the knowledge base originally it was not a straight forward process. It was a bit difficult adding new items. Additionally in the first instances of using the Help desk our support team was not receiving email notifications. We had to be physically logged into Spice works to receive notifications on new tickets. Ensure you know what you would like to capture before using Spiceworks, conduct the necessary research so that you are not disappointed if it does not meet your requirements. It helps to track the productivity of our IT support team and helps us to track how issues were resolved so in the event we need to reference something, the ability to make comments and upload documents is very useful. I love that Spiceworks is easy to use. It offers loads of customization options for everything from helpdesk to inventory. The community is also great, with tons of experts writing articles about numerous topics. If I had a question or a problem I was struggling with, I could often find information on my problem in the Spiceworks community. Even now, after my company has moved on to a different helpdesk solution, I still find myself referencing the community. If you use an on prem deployment Spiceworks is not the easiest tool to set up and configure. When my company left, the cloud version was fully realized and it wasn't completely free, so on prem was the best way to go. That may not be the case anymore. If you want a free solution that offers a great deal of customization and provides great support for helpdesk and asset tracking, this is a great solution. It does take some degree of technical skill to set up for the best results, so if you're looking for something to work right out of the box, this may not be the best solution. At my currently employer, we used Spiceworks solely for Helpdesk and it fulfilled that role very well. At my previous employer, we used Spiceworks for a wide range of things. We used it for helpdesk and inventory management. We even used it to host our IT knowledge base and employed the monitoring tools to keep track of our network landscape. "Look Ma, No Hands! Solid Ticketing Software for free!" We were able to setup a solid help desk ticketing system for free and helped us to be notified of fires quickly to minimize down time and company loses. Although software was very solid for ticketing system, does have a bit of a learning curve for features. Great software for a great price. We we're a company of less than 100 people and it worked great for us. It kept things running smoothly and also help us to avoid a lot of fires. This was a couple years ago, so probably have great improvements and features now! We were able to remotely help agents without leaving seat, which would allow us to be more efficient and resolve multiple tickets at the same time. We use this software across all five of our locations. It helps us collaborate and tackle problems more efficiently since we are on different continents and time zones. There really isn't much that we do not like, the only thing we wish it had was more accurate reporting. We have over 2000 users that our the IT dept has to support and we use Spiceworks for ticket submission and tracking. I like that this platform is free, and has allowed us to compile a ticketing system, inventory, and a user list. Very Good Application for managing Helpdesk ticketing system and IT inventories. We use Spiceworks for IT Helpdesk Ticketing system, Helpdesk Reporting and Inventory management. Everything is in one place instead of managing multiple Spreadsheets. "Great product for little to no investment!" All of it! Vast support community with many updates! The asset tracking feature, but the notices make it a slam dunk! Can't think of anything that I dislike at all. It really is doing everything we need out of it. Compared to other help desk software that I've used in the past it works very well. The funny thing is, we paid a lot of money for that other software! Use it! You have absolutely nothing to lose! At worst, you just don't like it and then just don't use it. I won't cry. It has helped us most with our asset tracking. That used to be a massive headache and take weeks or months. Also the notifications are really great! Like a server's C: drive filling up or a shared drive. Ease of use for end users and ability to log Helpdesks request via email. Spiceworks will scan inbound helpdesk emails for keywords and assign the ticket to the appropriate support rep based on the keyword content which works effectively. Screenshot attachments are also supported vi email which is another great feature. The application is supported by ads however this is no great issue given that the helpdesk software is provided free of charge. It also provides asset management requiring a client install on all PC's on the network. Asset management covers both hardware and software so a great way of keeping track of licensing across the network. Give it a go. Its free to use and is a great help when running a support function. Ability to respond fast and priorities user support requests. Spiceworks has come a long way since even a couple years ago. They now do inventory management and deployment of software pretty well at about 7/10. Also what sets them apart I think are all the user addons that people make for the software which mind you are all free. Their highly touted Network Management tool fails a lot and the agent could use a lot of tweaking. Also it is a memory hog so we flat out don't use it yet. We use it for inventory management and help desk ticketing primarily. The main benefit is that it's extremely fast to setup and start scanning your systems to use. It is a very full featured product and is a freeware model which is great for a non-profit like our church and church school. It would be nice to have a version that is low cost shareware in addition to the freeware model that would get rid of the ads. Very easy to use and free... what could be better? helpdesk and inventory. The main benefits are that 3 technical people see any problem that comes in and can respond when the other 2 are busy. Also the email string gets seen by all support staff and the user as well as the resolution of the issue. Learning about Spiceworks Help Desk? * We monitor all Spiceworks Help Desk reviews to prevent fraudulent reviews and keep review quality high. We do not post reviews by company employees or direct competitors. Validated reviews require the user to submit a screenshot of the product containing their user ID, in order to verify a user is an actual user of the product. Hi there! 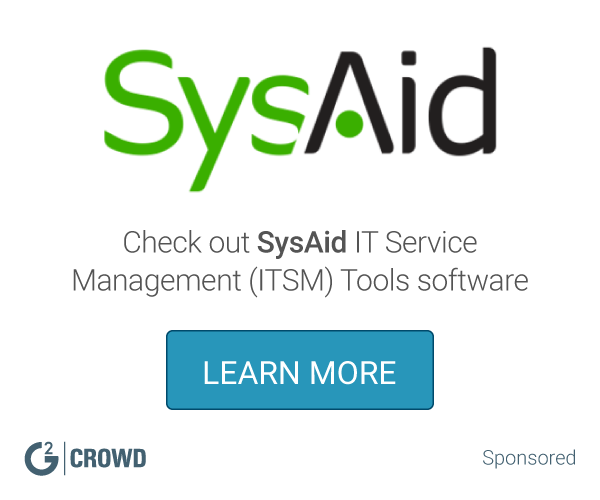 Are you looking to implement a solution like Spiceworks?